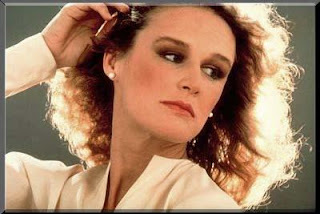 Rock n Roll Graffiti: Glenn Close recorded in U. P.
You may remember Glenn Close for her Academy Award-nominated performance as Alex Forrest in 1987's "Basic Instinct," or as Madame de Merteuil in "Dangerous Liaisons" the following year. Her most rabid fans, however, trace her professional beginnings to a record album which emanated from the Upper Peninsula's Mackinac Island in 1965. Earlier that year, Close, born Mar. 19, 1947, formed a folk music group with three other young women, Jennie Dorn, Vee Entwistle and Kathe Green. Calling themselves The Green Glenn Singers, they sought "to write and sing songs which would give people a purpose and inspire them to live the way they were meant to live." With that lofty goal, the quartet recorded two songs, both written by Close, for a long player called "Up With People," which, according to the jacket, featured the "Colwell Brothers and a cast of 130." In fact, the Colwells--Ralph, Paul and Steve-- were also instrumental in conceiving and launching an "Up With People" organization, along with a couple of fellows named J. Blanton Belk and Herb Allen. Their intent was to to counter growing anti-establishment themes in popular culture with an inspiring music program aimed at reinforcing traditional American values. The debut performance of "Up With People" came at a summer convention of Moral Re-Armament. Close was no stranger to the international group which sought to change society by changing individual behavior. Her wealthy family had been connected to the conservative evangelical organization since they sold their estate when Close was seven years old. A native of Greenwich, Conn., Close joined "Up with People" upon graduation from high school. As presented on Mackinac Island, the musical program was dominated by the Colwells, but also contained selections by Linda Blackmore and Charles Woodard, a 19-year-old operatic tenor. Strumming an acoustic guitar, Close sang "Run and Catch the Wind" and "The Happy Song," neither composition lasting more than two minutes. Close's songs may not have been profound, but they weren't embarrassing, either. "Think of something big to do, run and catch the wind, someone else will follow you," she sings in language that might summarize the album's concept. Meanwhile, "The Happy Song" urges listeners to abandon sadness and despair: "The sky will stay in your heart if you care, the sun will shine though the earth may be bare." The LP containing her songs appeared in late 1965 or early 1966. The Colwell Brothers are pictured prominently on the color cover along with some celebrity endorsers, namely John Wayne, Pat Boone and Walt Disney. The three entertainment moguls, dressed in suits and ties, proudly associated themselves with the rightwing project. "These are songs you'll never forget," exclaimed Boone. A pop music sensation in the late Fifties, Boone presumably knew what he was talking about. He had 16 Top Ten songs to his credit and toured with his wife and daughters during the time this album was introduced. The Green Glenn Singers are captured in a group photograph on the back. Close and her partners are shown performing in identical costumes, complete with frilly sleeves and necklines, surely the fashion of the day for youthful conservatives. With the performance broadcast on television, the myriad singers set out on an Asian tour at the request of the prime minister of Japan. There and in South Korea, The Green Glenn Singers performed their original material as well as Korean and Japanese folk songs, "electrifying audiences." Upon the group's return to the United States, three additional "Up With People" casts were formed to spread over North America, Europe, South and Central American and Japan. Close met her first husband, rock guitarist Cabot Wade, while on tour. They were married in 1969, but divorced two years later. After four years, Close quit "Up With People" to attend the College of William and Mary where she earned a bachelors degree in drama and anthropology. Her first big- screen acting role came in "The World According to Garp" in 1982. While Close calls her time with "Up With People" her "lost years," she hasn't given up singing. A diehard fan of the New York Mets, the Hollywood icon traditionally croons "The Star- Spangled Banner" for the club's home opening day game. Now, Mackinac Islanders can add Close to the things they boast about. You know: carriages, the Grand Hotel and "Somewhere in Time." Oh yeah, I almost forgot the fudge. I wonder if Glenn Close has a sweet tooth? I have that album and on the back, Ms. Close is credited as "Gleen Close". Talk about an album that needed a proffreader! According to Ralph Colwell, who I currently play music with in Tucson, they used to call her "Glennie".